Learn how to fix, CSS changes not showing up in WordPress immediately. 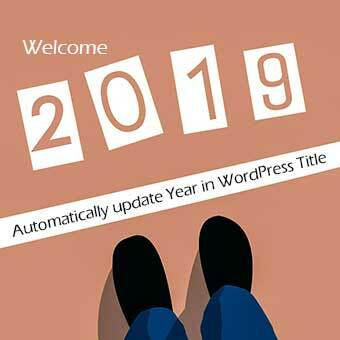 You might have experienced that you made some changes in the CSS and design of your WordPress site, but those changes are not updating WordPress live site in the browser. You have tried all the things – cleared your browser cache, cleared all caches in cache plugin, sometimes even rebooted your machine etc. But no success, your browser is still showing the old version of Cascading Style Sheets (CSS) files and script files. This issue can arise because of data caching involved at various ends between browser and server. The problem is data remained cached somewhere between browser and server, even after you cleared all the caches in cache plugins and browser etc. This problem can be fixed by many methods. When I start facing this issue, I research about possible solutions to fix this issue. In many forums and blog articles, they suggest using a php script that force browser to load updated files based on date and time of their last modification. They have coined the technique of fixing this issue as ‘Cache Busting’ or ‘Cache Busting CSS’. All you need to install and activate a WordPress plugin called Busted. That’s all, you are good to go. If you have installed a cache plugin, it is advisable that you should clear all caches once. Though there are many php scripts available on the web which are able to do the trick. However, Lutz Schröer mentioned a script in this article. I found the idea of his script more effective as it includes the updating of files in both ways i.e. file version as well time of its last modification.